FLORAL There are 18 products. The vast majority of women’s scents belongs to this category. Some of the most popular ingredients of flower based perfumes are Jasmine, Rose, Orange blossom, Gardenia, Lily of the valley, Tuberose, Magnolia etc. Very often floral perfumes have Jasmine and Rose as their main chords, which blend with other floral or fruity notes to form their distinctive character. Floral perfumes are feminine, sensual and sophisticated. They can be worn on all occasions – you will never make a mistake wearing a floral fragrance during the day or in the evening, in everyday life or on special occasions. 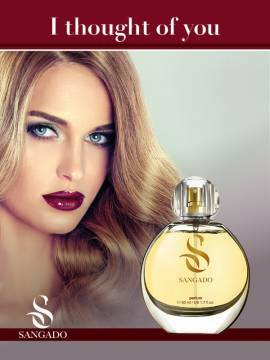 Below is our list of adorable floral SANGADO fragrances. Premium-quality, highly concentrated essential oils dominate in their formulations, ensuring 12-hour staying power. Their low price makes them true bargins. New scent, 60ml perfumeA unique creation in the world of perfumes, Orchid in black is a multi-layered composition - intense, velvet and super feminie. Its refined and luxurious aura is felt for many hours. A voluptuous and opulent aroma, "Supreme confidence" is about the self-assured woman - she is feminine and gracious, embodying the ideal of infinite freedom. "Supreme confidence" is a highly concentrated perfume and can be felt on the skin for long hours. 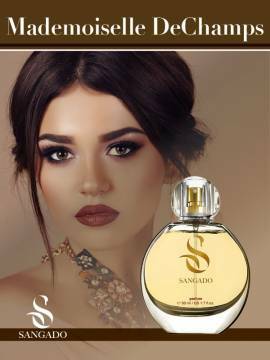 The fragrance of the stylish and classy woman who enthralls with sophistication and self-assurance.This perfume is based on fine French essences and lasts for long hours. New scent, 60ml perfumeThe delicate touch of freesia flowers on a refined musk base. A vibrant and elegant fragrance, Velvet touch tells the story of a positive and optimistic woman. The fragrance highlight her femininity and charm. A sensual and bold fragrance. The composition is based on gardenia and animalistic musk, which are completed by chypre and flower notes. This radiant and captivating perfume evokes feelings of passion and freedom. 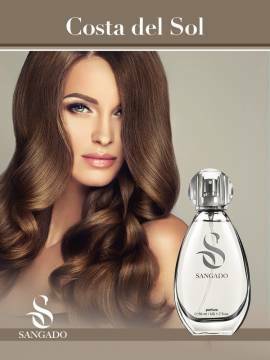 Romantic and sensual fragrance with a distinct velvet feeling, very suitable for evenings and special occasions. Celebrates the intense pleasure of being a woman - her presence will be deeply felt and will ignite admiration, passion and sometimes envy.This perfume is based on concentrated French essences and lasts for long hours. Incurably romantic, the protagonist of this luminous and exclusive fragrance lives up every moment and enjoys life. The personage is simple, yet very powerful, soft-hearted, yet profound. One can feel this perfume for a long time. Highly concentrated premium essences are used. 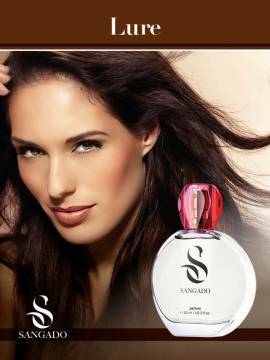 New scent, 60ml perfumeThis is an exuberant and extremely feminine fragrance. A unique combination of floral and woody nuances, completed by a warm musk base. This is an aroma dedicated to the ultimate woman in our life that we will never forget. Delightful and simply stunning, we keep her image eternally vivid in our mind and heart. This perfume has an unusual staying power thanks to the highly concentrated superior essential oils used. Natural and free-spirited, this fragrance embodies the beauty and elegance of the contemporary woman - she is radiant and extraordinarily irresistible.This fragrance is based on fine concentrated essential oils and lasts for long hours on the skin.